Editor's note: The Centers for Disease Control and Prevention has notified CBS News that there are errors in the data used in its widely cited 2016 study on suicides and occupations. While a new analysis is not yet available, the CDC says the initial study over-stated the incidence of suicide in the "farming, fishing and forestry" occupational category and under-stated it in other categories. It's not yet known how much. We have updated this story to reflect the CDC's uncertainty of the figures, and will update again once the CDC releases its corrected analysis. It remains the case that suicide rates are much higher in rural counties than in suburban or urban counties. The unequal economy that's emerged over the past decade, combined with erratic weather and patchy access to health care in rural areas, have had a severe impact on the people growing America's food. Since 2013, farm income has been dropping steadily, according to the U.S. Department of Agriculture. This year, the average farm's income is projected to be 35 percent below its 2013 level. Longtime farm advocates see parallels between today's situation and the farm crisis of the 1980s, when many U.S. farmers struggled economically. The figures for rates of suicide among farmers today are unclear. 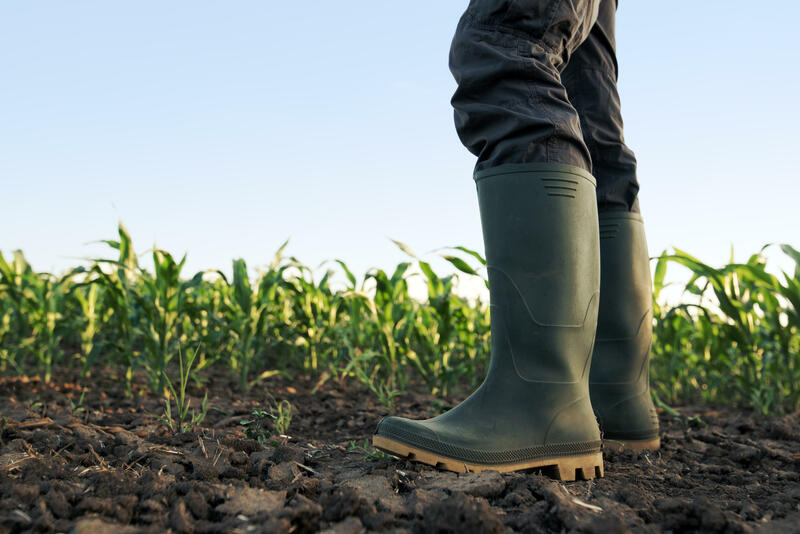 In 2016, the Centers for Disease Control and Prevention published a widely cited study, now retracted, pointing to high rates of suicide among agriculture workers. However, suicide is much more prevalent in rural areas than in urban ones, according to other CDC studies. Between 1990 and 2016, suicide increased in almost every state, with the largest increases in Western states. The link between farm failures and suicide has been demonstrated outside the U.S., in places like India, where tens of thousands of farmers have died by suicide in recent years. Farmers are also at the mercy of elements outside their direct control, from extreme weather events that threaten crops to commodity prices that offer less for farm goods than it costs to produce them. "We've spoken to dairy farmers who are losing money on every pound of milk they sell," said Alana Knudson, co-director of the Walsh Center for Rural Health Analysis with the University of Chicago. Health care and mental health services can be critical, Knudson said, particularly in rural areas, where medical care may be scarce. The farm bill that passed the House last week threatens to undo that, she said, because it allows for health insurance to sell plans that exclude mental health coverage. The Senate version of the farm bill allocates $20 million to a program to connect farmers with behavioral health services. Such programs are even more crucial today, said Fahy, because many publicly funded programs that were created in the wake of the 1980s farm crisis have been chipped away over the years. She pointed to Minnesota, where a suicide hotline closed earlier this month after a budget dispute between the legislature and the governor.